ArtStation Community Challenges were created with the mission of helping artists to improve their skills, create artwork for their portfolio and have fun in the spirit of community-based learning. 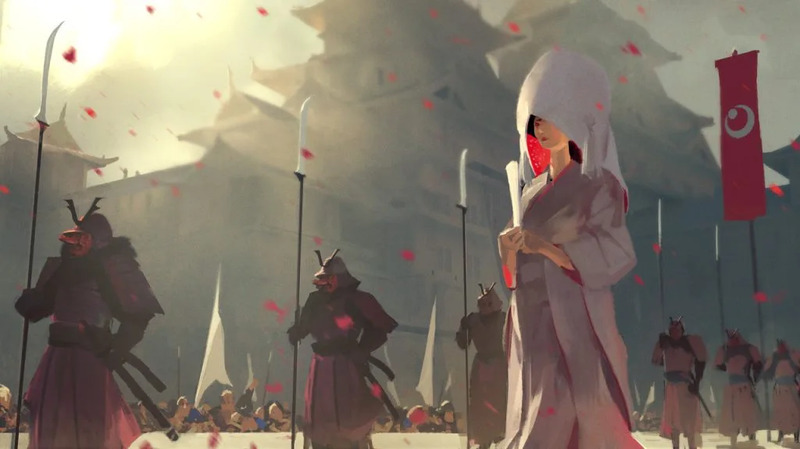 Our latest theme was Feudal Japan: The Shogunate, challenging to imagine tales from the Island Kingdom, whether it was about the ruling class, the military class, or the peasants. 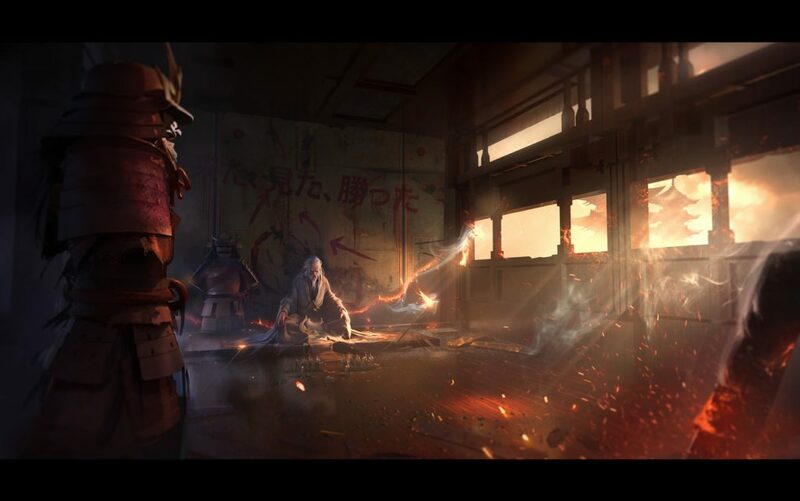 For the Keyframe Concept Art category, participants were asked to imagine a narrative within the historical theme of Feudal Japan and produce four individual scenarios or two sets of sequential keyframes (before/after moments in the same environments) showing key story moments. 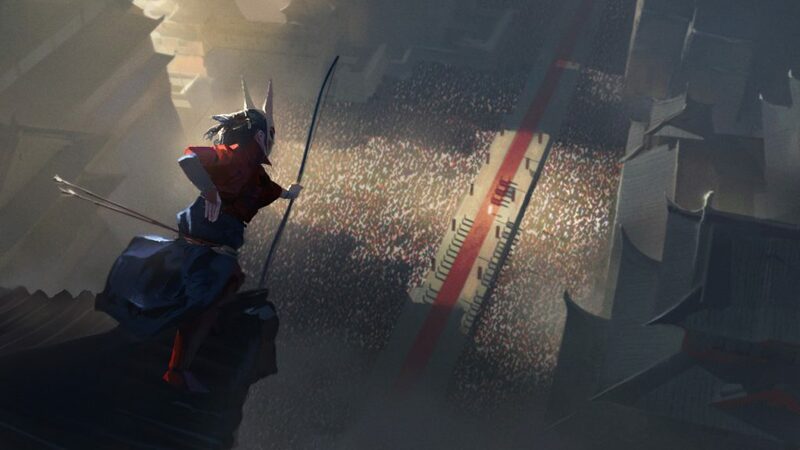 Browse all Keyframe Concept Art entries from the Feudal Japan Challenge. In this interview, the winners (Sangyeob Park, Vladyslava Hladkova, and Kevin Fleeman) share their inspirations, strategies and advice for future challengers. What story were you trying to tell in your keyframes? Sangyeob: Two assassins secretly kill Queen Kumiho and her men. The Queen has the ability to rob the human soul and she has taken the soul of all the people of a country. She controls people’s minds and enslaves them. I wanted to see an archer assassinating her from a distance. It’s like modern snipers. Inside the castle, another assassin is killing other important people. 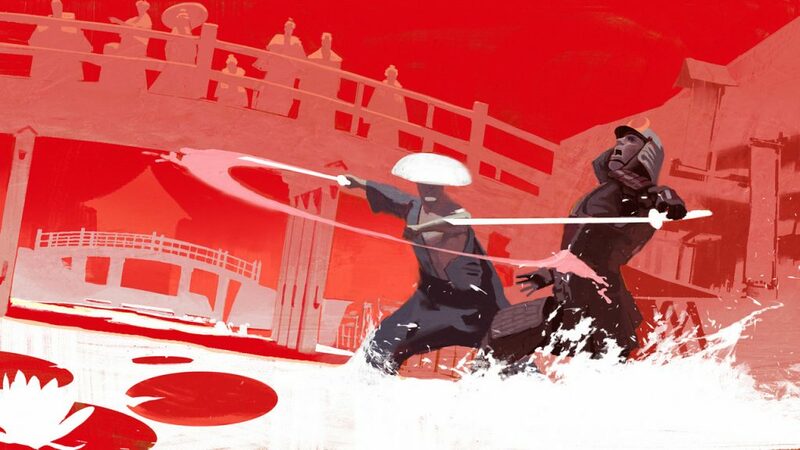 Vladyslava: I was inspired by Japanese folklore, its history, and the film ‘Ran’ by Akira Kurosawa. I tried to convey the loneliness of a ruler and his gradual descent into madness during the fall of his empire. 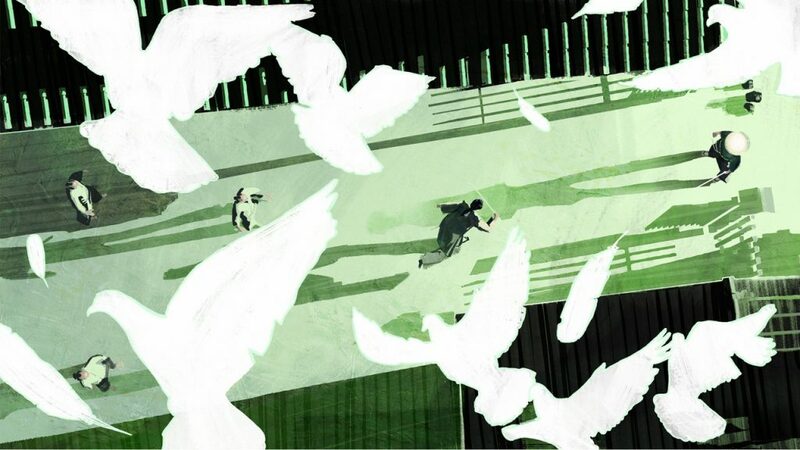 Therefore, the composition in the keyframes develops from stable and balanced, to chaotic and asymmetric. Kevin: I loosely based my keyframe’s story on famed Ronin, Miyamoto Mushashi; who lived in Harima Provence, Japan in the years 1584-1645. Undefeated in over 60 duels, and known for his double-bladed swordsmanship; Miyamoto was easy choice for my project! Sangyeob: I actively used 3D tools. There were only five days left before I started working on this. On the first day, I wrote down a rough story and then sketched four scenes in black and white. The next day, I simply made up two 3D scenes in Blender. For the rest of the time, I designed the characters and mood. I was able to finish it faster than I thought. Vladyslava: The challenge turned out to be an excellent opportunity to introduce new media into my pipeline. I discovered the advantages of 3D in the development process, allowing to achieve a solid result in a short time, as well as being able to be a lot more flexible with the compositions. Kevin: I simplified everywhere I could on this challenge. I wanted my keyframes to have strong visual read and each to have a distinct mood. I chose a very limited palette (red, blue, green) and let my compositions do most of the heavy lifting. I had a late start, so doing this allowed me to stay on track! What was the most difficult part of the challenge for you? Sangyeob: I think the most difficult part for this challenge was creating a story that wasn’t typical. Vladyslava: I really like the graphic drawing and the liveliness of the freehand sketches so trying not to lose my personal style while working in 3D was the biggest challenge. Kevin: It’s very difficult to not be overly critical of yourself during a challenge like this. You start seeing everyone’s submissions roll through, packed with detail and impressive technical prowess and start to doubt yourself and your work. I find it important to always remind myself that my artwork will always have a unique voice, as long as it comes from me. Do you have any advice for future challengers? Sangyeob: I have designed mainly environment and props in game companies so I hesitated to participate because I was not used to designing these keyframes and using 3D tools but I learnt so much about them because I just participated. Challenge yourself! 파이팅! Vlada: Every idea already exists to some extent online and it is rather difficult to create something unique. Because of this, I would suggest to future contestants to sketch their idea before going online or looking at the works of other contestants. This way, you will avoid copying and make your work even more interesting and well-grounded with references. Kevin: Have no fear! Don’t be afraid to be yourself. Sometimes you have to take one step back, but always follow up with two steps forward. 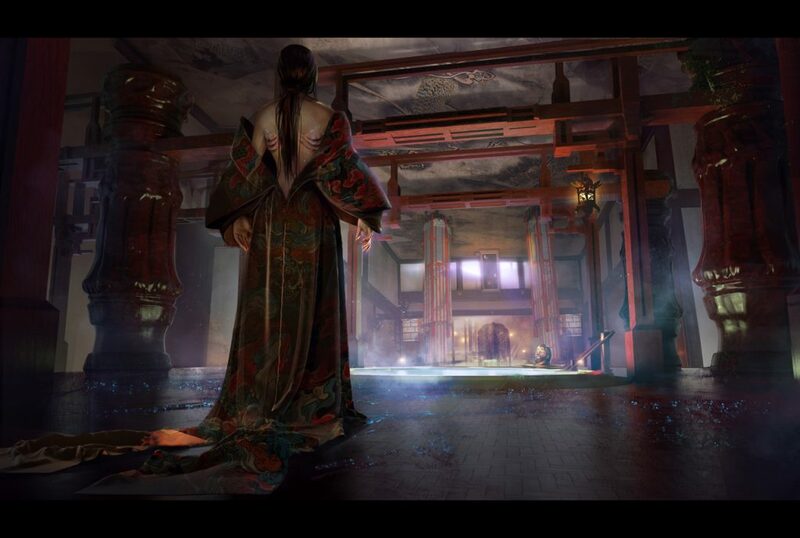 Browse all Keyframe Concept Art entries of the Feudal Japan Challenge.